John Damberg has spent decades teaching middle and high school students, and also adults, how to play jazz. He’s taught in the public school system, the university system, and through his own local nonprofit, the Alaska Jazz Workshop, a year-round learning environment that he launched in 1995. 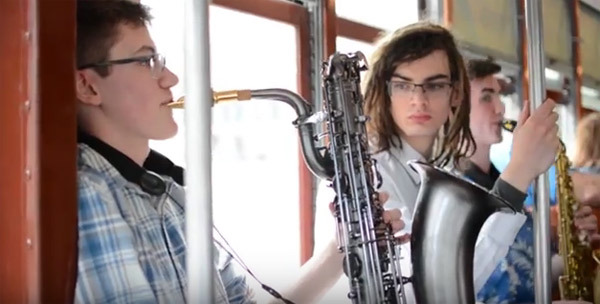 On today’s Hometown Alaska, Damberg shares what all that experience has taught him about the different ways musicians learn, and how learning jazz opens up their musical capacity. He’ll bring several students with him, and together they’ll demonstrate aspects of jazz, such as a call-and-response pattern in the blues, or how the jazz drummer drives the song and creates openings for solos by other musicians. Expect a few tunes and demonstrations highlighting the jazz tradition. Included are a home-schooled high school student on keyboards, a college student on bass, and a retired attorney-turned-pianist, along with Damberg on the djembe, a rope-tuned, skin-covered goblet drum from West Africa. Today’s show was pre-recorded to accommodate schedules, so we won’t be taking calls during the hour. If you have an email question, feel free to send it in and we’ll get back to you. Because today’s show was prerecorded to accommodate scheduling, we won’t be taking live calls during the show. LIVE: Monday, October 8, 2018 at 2:00 p.m.
REPEAT: Monday, October 8, 2018 at 8:00 p.m.